Let us continue Anti - Valentine's Day Week with an affordable beauty treat. I was recently shopping the ColourPop website for a little gift for someone and while I was at it, I kind of bought myself a little something, as well. 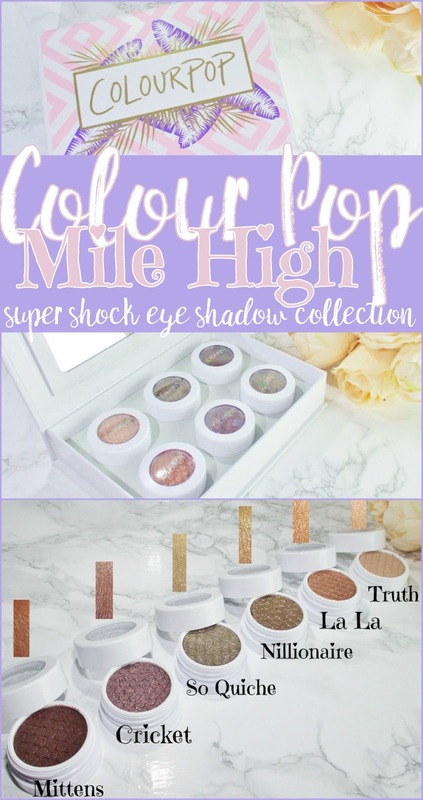 For about the cost of a moderately priced box of Valentine's chocolates, I picked up the Colour Pop Mile High Eye Shadow Kit, a perfect little indulgence that nicely feeds my makeup cravings. I love how these shadows are packaged for shipping and presentation. A sturdy, paperboard box with a magnetized, flip up lid lifts to reveal a mirror and six Super Shock shadows nestled safely in their base. These boxes can easily repurposed. I like to use mine to stash away pieces of fashion jewelry, hair accessories and so forth. Six beautiful, wearable colours in matte, shimmer, metallic with sparkles. If you aren't familiar with ColourPop's Super Shock shadow formula, it is a creme-powder with this odd firm yet soft, bouncy texture that feels silky smooth and cool to the touch. These shadows need a little care, you absolutely must seal them tightly back up after each use or they will dry out and once that happens, they are useless. Here are the colours with accompanying swatches. Mittens is a rich red-tinged matte brown. Cricket is a delicate, semi-sheer but buildable violet metallic with gold sparkles. So Quiche is an olive green with sparks of purple and gold. Nillionare is a gold bronze metallic with gold glitter sparkle. La La is a rose gold and glitter metallic. Truth is a slightly peachy ivory satin matte. These shadows have great pigmentation and payoff on the eyes. Don't let the glittery sparkle scare you. These shadows can be applied to preserve maximum sparkle or it can be buffed in to minimize it. In my experience, the best way to apply these shadows is with a finger or a synthetic brush. The silky, creme formula gives a little time to work it into place then sets and gives me crease and fade free all day wear over primer. Blending can be a little challenging but with a synthetic blending brush and a little patience, I get really pretty eye looks with these unique and fun shadows. 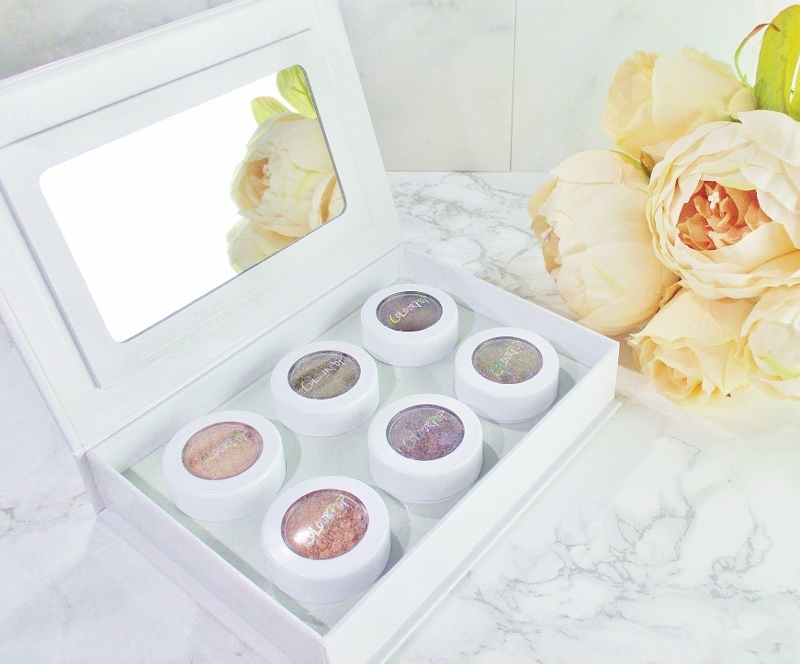 I can mix and match ColourPop shadows with other powder and creme eye colours in my collection. ColourPop's website can be a little overwhelming to start out. The first few times I visited, it kind of short circuited my gourd. I suggest starting off by checking out their Collections page, it's a great place to dip a toe in the water without blowing your mind. Colour Pop produces their makeup in Southern California, they are cruelty free and, starting at five dollars a piece, very affordable and collectable. Don't hesitate to treat yourself to as many as you like, this is one yummy little indulgence that will delight for a long time to come. 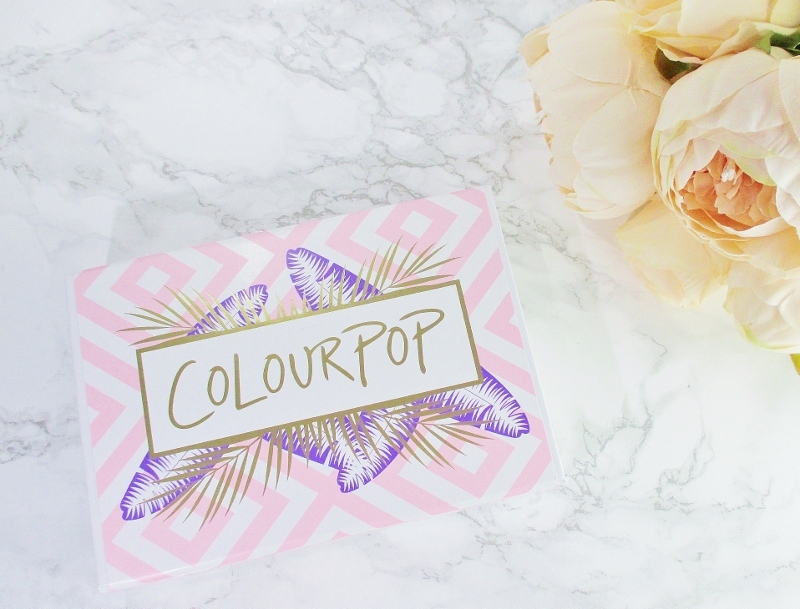 Are you a fan of ColourPop? What are your favorites? 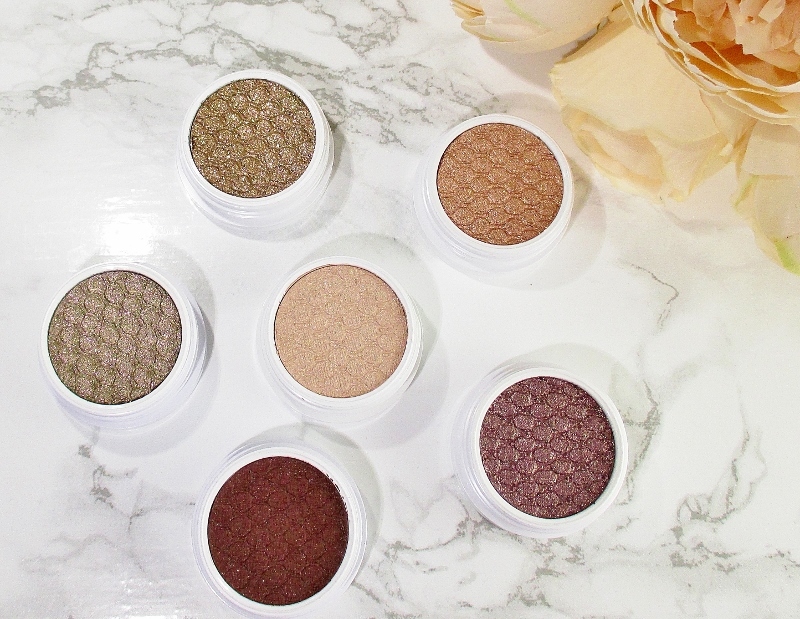 Have you tried their new pressed powder shadows? I think I may have to order a few and give them a whirl. 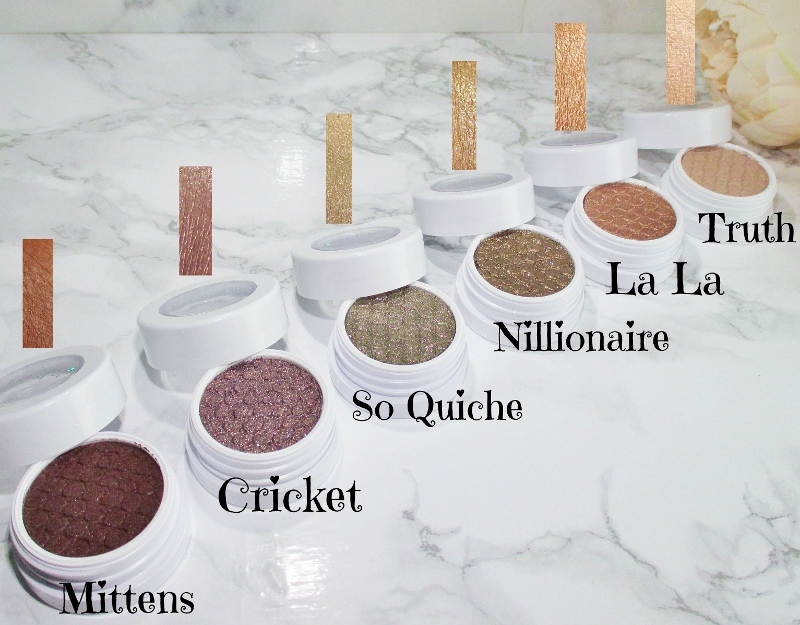 Like the Super Shock shadows, they are only five dollars a piece and they have a pretty nice colour selection. This is an absolutely gorgeous collection, and there's a chance I own it and haven't used it yet. I'm going to go look because I know I have Nillionaire. I am so behind in using my shadow collections and palettes. No more buying for me. I have been waiting So Quiche since I first saw it! I still haven't purchased anything from them, but will at some point! I really want to pick up Cricket! I've used several of their products and love CP! You had me at "affordable" :) I haven't purchased from the line in quite some time, but these colors are gorgeous! I need to start a wish list. I have Nillonaire and So Quiche--you've reminded me to pull them out again. All of the colors look great! I keep buying ColourPop and not using it. The sparkles are too intense for me. BTW your picture with the shadows and swatches in rectangles is fabulous. I wish I could do that. That's the best part about ColourPop! Affordable so you can buy a whole bunch without feeling guilty! I am a fan of Colourpop indeed! I recently bought a couple new eyeshadows and several lip glosses. I know metallic lips are all the rage lately, and luckily with Colourpop I can try it on without breaking the bank. Let's just say, I look horrble with metallic lips LOL!